The recommended Xenon antenna should mention that it is the same as the Argon WiFi antenna and that it is available in the Store. Docs currently only list what pins are interrupt enabled for Gen1 & 2 devices. Which pins can be used on mesh devices and is there any difference in usage (e.g. implicit application of internal pull-resistors)? It should be CONNECTED but why do we need to deliberately illustrate that it is not connected? Note: Only use letters, numbers, underscores, dashes and slashes in event names. Spaces and special characters may be escaped by different tools and libraries causing unexpected results. ttl (time to live, 0–16777215 seconds, default 60) !! NOTE: The user-specified ttl value is not yet implemented, so changing this property will not currently have any impact. I currently have a photon on 0.8.0-rc.7 that can publish events with 300+ character payloads without any problems. 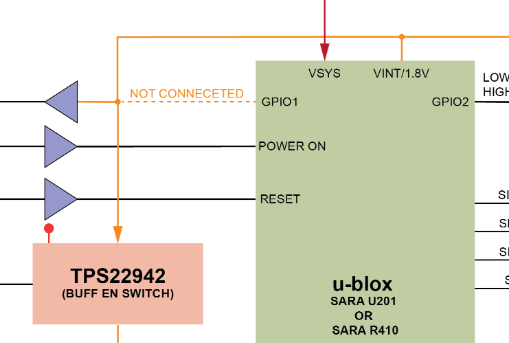 The datasheet section only refers to a "Ublox SARA R410" module, however Ublox manufactures two variations of this module. The module used in the Boron (as confirmed by Rick K on the forums) is the SARA-R410M-02B. This specific information is important to the international community in determining if the module has local carrier compatibility and certification. Adding the "-02B" to the module references gives enough information to be able to ensure local network compatibility.